Having your parents buy you a Happy Meal at McDonald’s was easily one of the best things when you were a kid. Being able to open that box and see what toy was inside was just like Christmas morning. Happy Meals have existed at the fast food joint since 1979 and have been making kids happy ever since. Each one of these meals comes in a little red box with a smiley face on it, and inside there’s a meal, and more importantly, a toy. These toys are sometimes a collaboration with another industry (movie based toys for example), or sometimes just an original McDonald’s creation. The selection of toys is always changing and some are a hit among kids while others are well, not so great. Here are the top 10 saddest McDonald’s Happy Meal toys ever sold. Kids love Halloween. Being able to dress up as someone or something you’re not is exciting, and the best part of all is collecting a bunch of free candy. McDonald’s caught on to this and realized that it would easily be able to capitalize on a holiday as popular among children as Halloween is. Except I’m not sure it really understood which part of Halloween kids actually love, because the restaurant’s idea of a cool, fun for kids Happy Meal toy was a series of buckets. 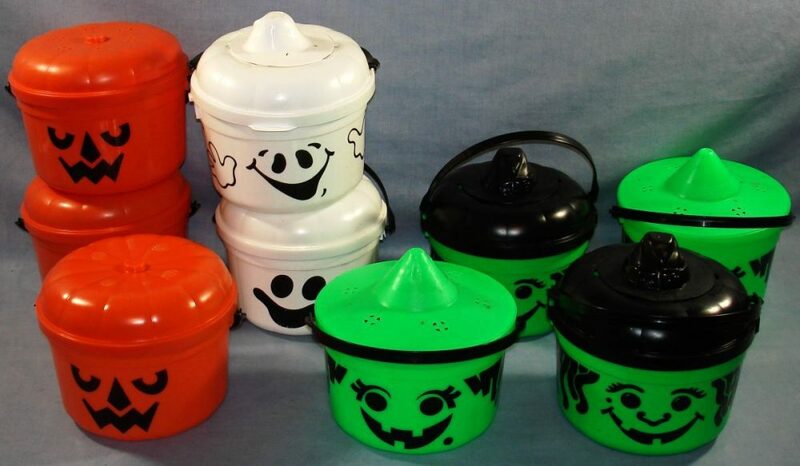 These pails have been released as a McDonald’s toy multiple times since the 1980s, and their designs commonly include images of witches, ghosts, and carved pumpkins. The idea behind the pails was for kids to use them to put their candy in while they were trick or treating, and sure, this sounds like a good idea but is it really something that kids would be excited for? 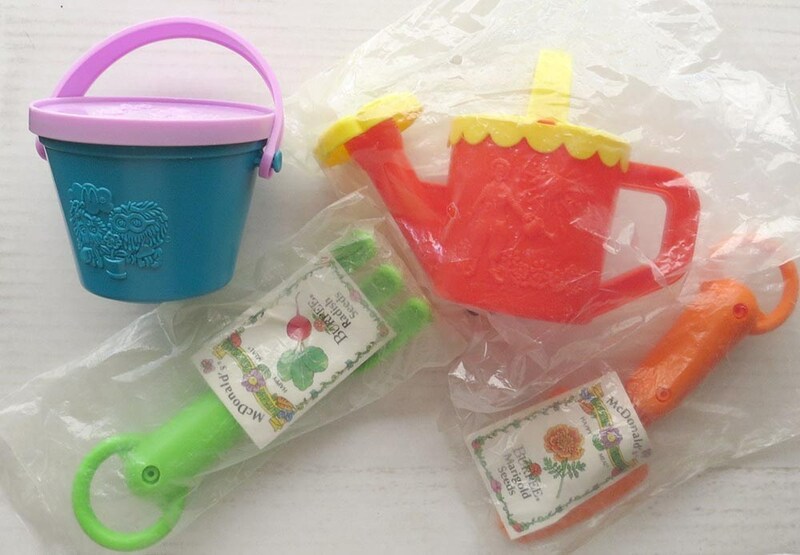 These buckets were a bit different from your traditional Happy Meal because instead of coming inside the red box, the buckets were the container holding your food. Because of this, many kids were lead to believe that there would be a toy inside the bucket. Imagine their disappointment when they were told that no, there’s no action figure or stuffed animal today, you just get a pail. When McDonald’s isn’t partnering up with a toy company, or the newest kids movie out, it needs to come up with its own ideas for Happy Meals toys. More often or not, the franchise chooses to promote itself by selling toys that feature their beloved characters. Ronald McDonald’s is the brand’s most recognizable character and the one that gets featured on the most products. Unfortunately, the more products something’s on, the higher the chance of getting featured on something awful. In this case, that product was a pair of Ronald McDonald themed sunglasses. These sunglasses were released multiple times throughout the years for McDonaldland promotions, the land full of characters that McDonald’s used as a marketing tool from 1971 until 2003. These sunglasses were ugly, to say the least. The rims were the classic McDonald yellow, and the top part was made of Ronald McDonald spread arms, with his smiling face right in the middle. 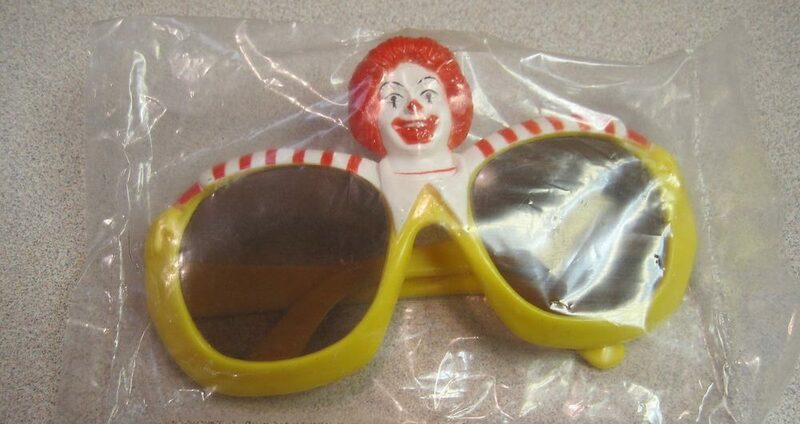 Not only are these sunglasses slightly terrifying due to how Ronald McDonald is grinning, but they also just turn the wearer into a walking advertisement for the hamburger franchise. The design of the glasses are in no way subtle and upon a quick glance it’s very obvious where they came from. I don’t even think that the most dedicated customers would want their children walking around in these sunglasses. Everyone can agree that it’s important for kids to be active and exercise as it’s essential to their growth and happiness. 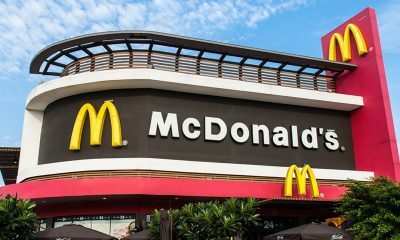 Even though McDonald’s is famous for their unhealthy food, it decided that it was important to promote an active lifestyle to kids visiting its restaurants. They’ve got to find one way to burn off those chicken nugget calories after all. 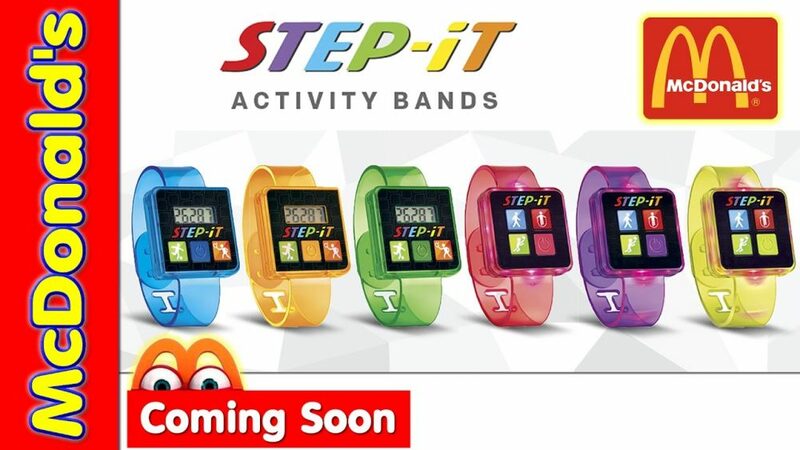 So in 2016, McDonald’s decided to release a step counting wristwatch called the Step-It. It’s great that a big restaurant is promoting fitness but there were a few issues with the toy. 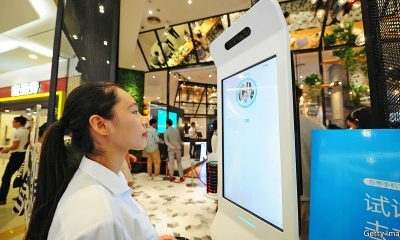 A step counter isn’t exactly a toy that a kid would be excited to get, especially on a visit to McDonald’s when they’re definitely not thinking of health at the moment. And even if a kid did want to use their new step counter while running, there were some huge issues with it. 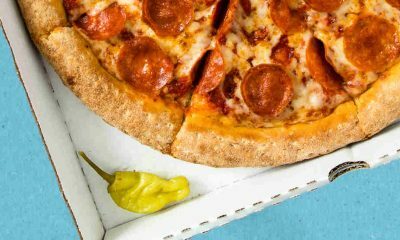 The product was recalled from all McDonald’s locations after 70 reports came from customers claiming that the device had left their skin burnt and blistered. 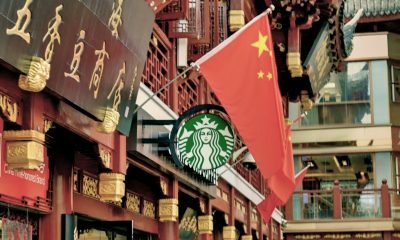 29 million units in the United States had to be recalled and customers who had already received the item were able to trade it in for something else. Maybe this incident was a sign that McDonald’s should stick to remaining as unhealthy as we know it to be. Taking care of the planet we live on is extremely important, and it’s definitely necessary to teach children this from an early age. Even McDonald’s knows this, so it decided to release a line of “Nature Watch Happy Meals” in 1991 in honour of Earth Day. The happy meal was different than usual because it was served in a bag made out of recyclable materials rather than the usual box. The concept of the line, which featured a set of various gardening tools was a great idea for promoting working outdoors, but the execution was questionable. One part of the collection was a set of gardening tools featuring a tiny rake and shovel. They were cheaply made and too small to actually be useful, but it was a nice idea. Next was a little watering can designed to look like a rolled up hose. This would have been great for helping parents water their plants if the can was actually able to hold enough water to be useful. Then there was a tiny greenhouse which came with a package of flower seeds. Miraculously, the flowers were able to grow inside of it but the plastic dome cover easily broke, defeating the purpose a greenhouse. Finally, there was a bird feeder that was way too small for many birds to be able to eat from. It’s admirable that McDonald’s made an effort to get kids to help take care of the Earth, but it’s less so when the products sold are ineffective. It’s common knowledge that McDonald’s has gendered toys. 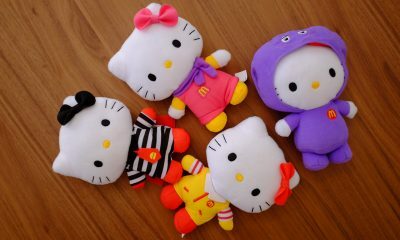 The franchise offers “girl toys” and “boy toys” that are usually two completely different things (like barbies for girls and cars for boys). This strict gendering of toys has garnered controversy among customers so in 2014 McDonald’s decided to switch things up. 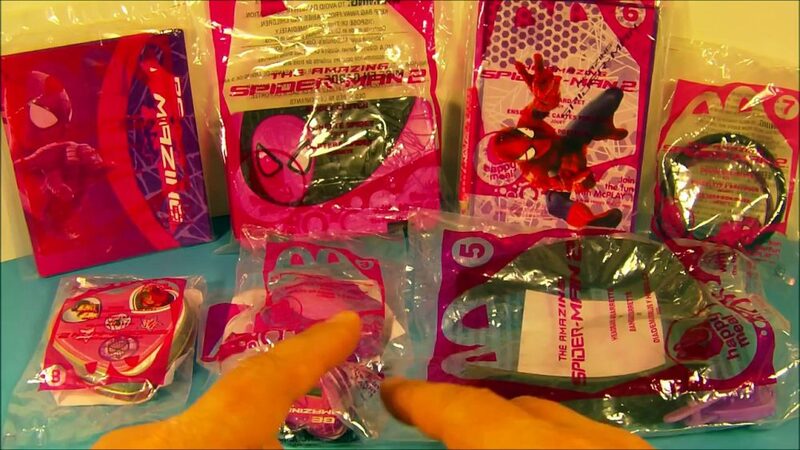 For the release of the movie, The Amazing Spider-Man 2, the restaurant put out a line of Spider-Man based toys and announced that they would be for both boys and girls, earning praise. However, when the line of toys was actually released, it didn’t take long for customers to realize that the company had completely missed the mark. Even though this set of Happy Meal toys was said to be for both girls and boys, they were still gendered. The set for boys featured action figures of Spider-Man, a Spider-Man themed car, a tin of trading cards, and more, all in the traditional Spider-Man colour palette of red and blue. The half of the collection that was meant for girls featured a Spider-Man themed purse, headbands, and bracelets, along with a tin filled with heart stickers, all of which follow a colour scheme of pink and purple. Even though McDonald’s tried to say that girls can like superheroes too, it still made the unnecessary divide between the boys and the girls toy, and made it seem like girls are only able to like traditionally feminine things. E.T the Extra-Terrestrial was an extremely successful movie directed by Steven Spielberg, released in 1982. At the time of its release, it became the highest grossing film in the box office, and won multiple prestigious awards. And of course, when a film does well, McDonald’s decides to profit off of it. McDonald’s decided to hop on the E.T train shortly after the film’s release and decided to collaborate with the creators to release an E.T themed set of happy meal toys. This set of toys did not live up to the film’s success though, and are definitely some of the worst Happy Meal toys ever. The toy released was not a toy at all, and was actually just a small poster. 4 variations of the poster were released and customers were supposed to collect them all. 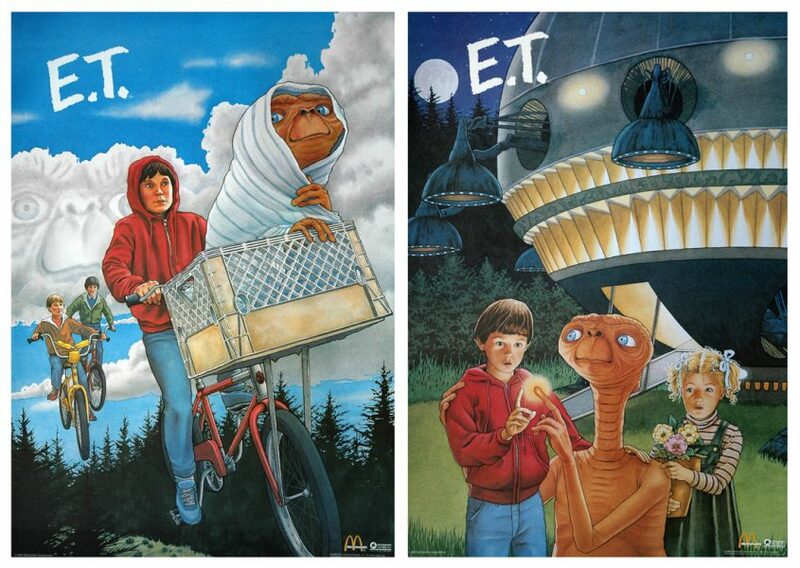 Each poster portrayed a drawing of a different scene in the movie with the beloved extra-terrestrial as the focus. The realization of getting a poster instead of a toy was already bad enough for kids of the 80s, but the quality of the posters were even worse. They were small and heavily folded, leading to unattractive wrinkles on the posters and to make matters worse, they were greasy from sitting in a box with McDonald’s food. These posters were a disappointment overall, and it’s no surprise that they’re making this list. Another addition to the list of disappointing McDonald’s characters themed toys is this puppet that was released multiple times in Happy Meals since the 1970s. During this time the characters of McDonaldland were quite popular among children so it wasn’t uncommon for McDonald’s to profit off of them through turning them into Happy Meals toys. However, they seemed to be running out of ideas quite fast, as this Ronald McDonald glove puppet was definitely not one of the best toys the restaurant’s ever released. The puppet was simply a type of white latex glove with a picture of Ronald McDonald on it to be worn on the hand. There were no moving parts or anything even vaguely entertaining, just a glove. I’m sure some kids could have had fun with this through the use of their imagination, but for others the cheaply made glove was nothing but a disappointment. It’s obvious that none of McDonald’s Happy Meal toys are well made, but this one truly shows just how cheap the company is willing to be in order to make a profit off of unsuspecting children. Clearly there was also an extreme amount of creativity associated with this toy too, as it’s probably one of the simplest toys ever released in a Happy Meal collection throughout the years. The singing competition show American Idol made its debut in 2002 and quickly gained a huge following. The show was at its peak popularity in 2007, and there were millions of kids around the company watching the show every week and rooting for their favourite singers. Another thing that was popular among kids in 2007 were MP3 players, so McDonald’s had the genius idea of combining both of these things to create the American Idol MP3 Player Happy Meal toy. 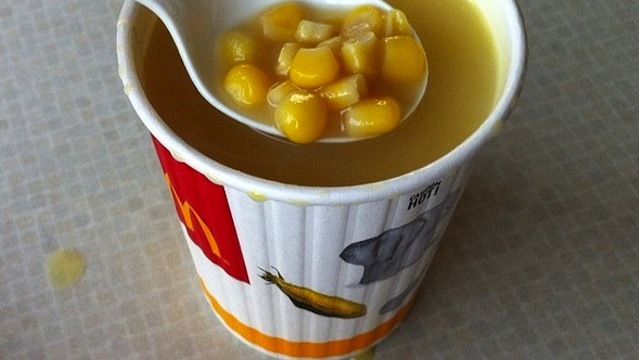 McDonald’s loves collaborating with other popular businesses, but in this case the final product was not a hit. 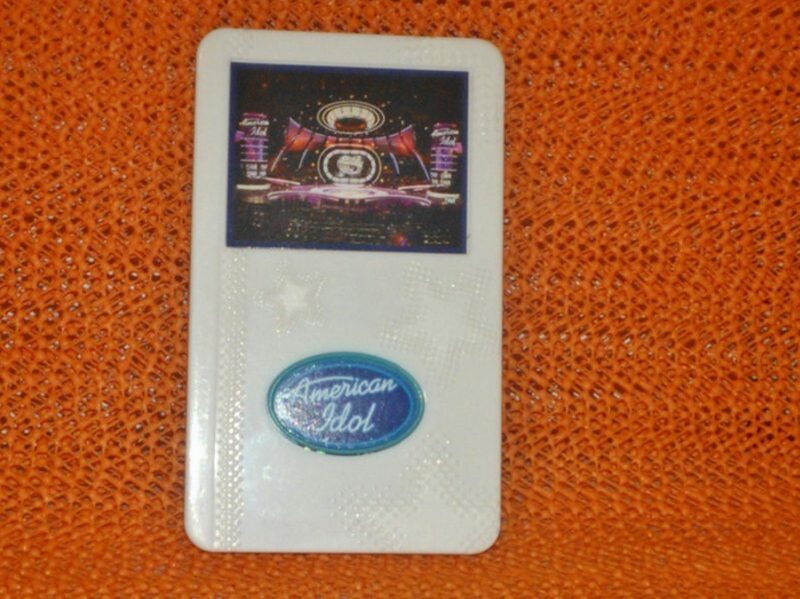 The toy was shaped like a white iPod with a “screen” showing the American Idol stage and the show’s logo on the bottom part. Surprisingly, the toy actually does play music but of course there’s a catch. The only song it plays is the instrumental played between commercials on American Idol. Fans of the show might have purchased this toy to hear renditions of songs covered by contestants on the show, but instead all they received was a short techno interlude. Along with disappointing kids, the repetitive tune must have annoyed parents of kids who actually enjoyed the toy. 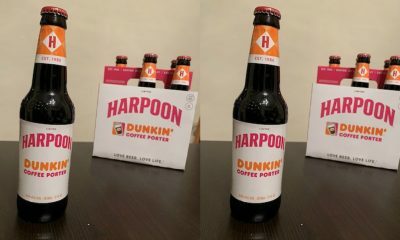 Overall, this collaboration was a disappointment for both kids and their parents. 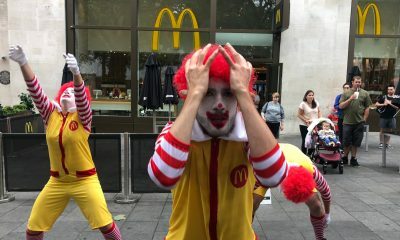 Coulrophobia, meaning the fear of clowns, is a common phobia among people, so why McDonald’s chooses to use a clown as its main marketing character is beyond me. 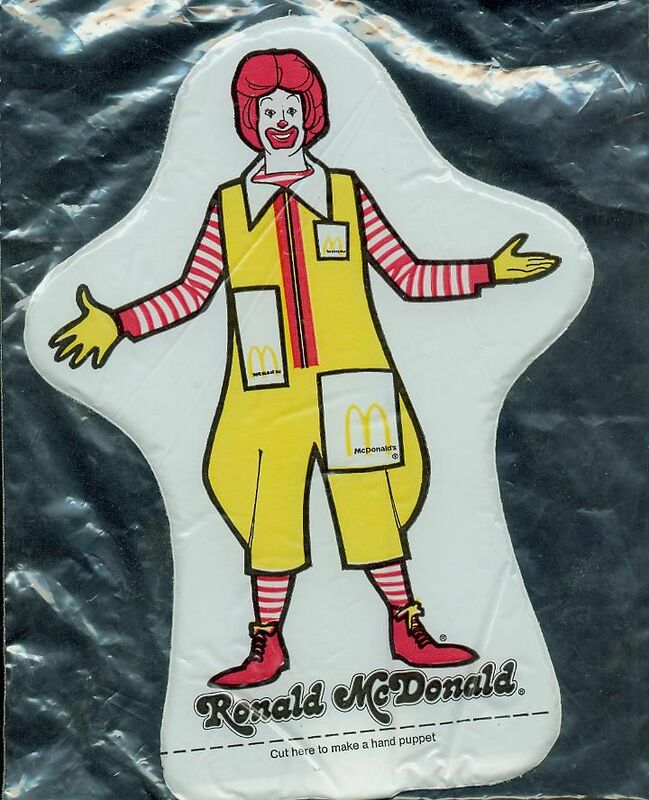 Having Ronald McDonald as the main character of McDonaldland has made for some pretty interesting marketing adventures over the years, and Happy Meal toys featuring the sometimes beloved and sometimes feared clown are no exception. 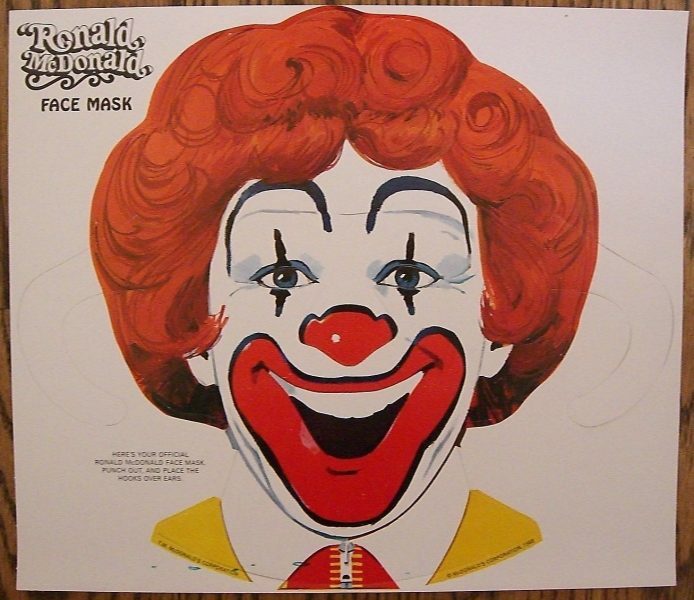 One of the creepiest clown related toys McDonald’s has ever put out is the Ronald McDonald mask, as part of the Happy Meal in 1974. This mask was simply a piece of cardboard with the face of Ronald McDonald drawn on it, and a pretty terrifying one at that. The mask featured the clown grinning widely while its seemingly dead eyes look straight ahead. The whole thing gives off a very eerie vibe and it seems more likely that a child would cry out of feat upon seeing it rather than out of joy. On top of being slightly frightening, the mask was cheaply made and nothing but flimsy cardboard that could easily rip, rather than another stronger material like plastic. It seems like the only thing this mask was really good for was terrorizing anyone who dared glance at it. We all know that a healthy, balanced diet is an essential part of a good lifestyle, and it’s extremely important that children eat properly as they’re growing up. We also know that it’s important for kids to practice their reading skills. 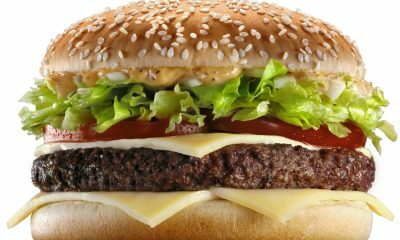 But another thing we know is that McDonald’s is renowned for being an extremely unhealthy fast food joint. 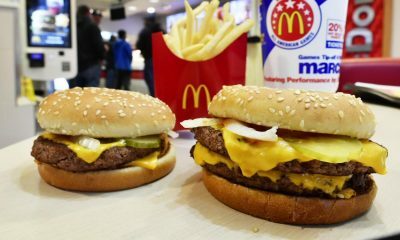 The majority of the food at McDonald’s is extremely high in fats, sodium, and overall calories, and everyone knows that it’s definitely not diet food. So you can understand the confusion when in 2013, McDonald’s included a book about the importance of eating healthy as its Happy Meal toy. The book is titled “The Goat Who Ate Everything” and it was written by John Montgomery. The book tells the story of a goat who eats whatever he wants until he realizes that certain foods are better than you than others. Reviews show that kids actually really enjoyed the story, but it’s the irony of the situation that puts this book on this list. McDonald’s giving out kids a book about why they should eat healthy as they’re eating one of the unhealthiest fast food options out there is just laughable. Of course, kids should be eating healthy but when it’s McDonald’s telling them to are they really going to listen?